Take advantage of our services for the ideal ignition change or transponder key replacement. Our locksmith company is your go to provider when it comes to commercial and office locksmith concerns. Our residential locksmith will take care of your home’s lock and key issues. Our company takes its job seriously knowing that locks and keys are important to our customers’ security. Count on our excellent locksmiths to take care of your lock and key issues in the most professional way. They are trained to handle any issue, be it for your home, office or car. Outstanding auto, residential and commercial locksmith service is what awaits you when you hire our company. Our specialists are highly experienced and trained in this field so you can be sure that all your locks and keys concerns are covered. “Locksmith Gurnee” offers comprehensive solutions for all your locksmith needs. We have a proven track record when it comes to providing timely and reliable locksmith services to our clients throughout Illinois. Your satisfaction is important to us because this is what makes our job worthwhile. Our team is committed to delivering quality services around the clock. 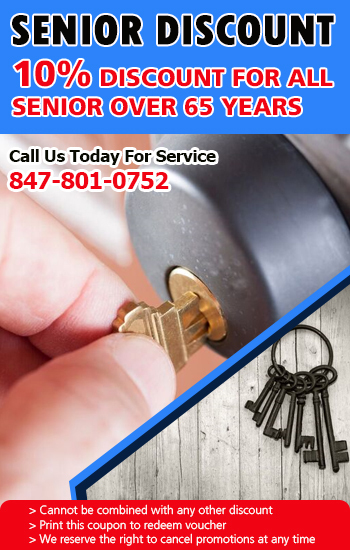 Locksmith Gurnee covers all services that concern locks and keys. Our technicians specialize in residential, commercial and automotive locksmith issues. Aside from common locksmith concerns, our specialists can also handle general security matters. Here is a run down of some of the particular services we provide. 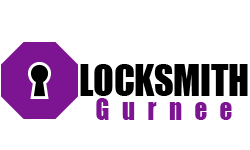 * Installation: Our installation services vary from door lock installation to safe installation. We professionally install all types of locks, including locks for windows and cabinets, as well as all types of safes. Our leading experts can also set up high security, digital, and keyless entry systems. * Repair: Whether you have broken office, house or car lock or key, our diligent team has the skills and tools to fix it on the spot. This is regardless of the type and brand you may have. * Replacement: If you prefer to have your locks replaced, we’re confident that it can be accomplished with our experienced assistance. In addition, we offer key replacement and duplication. * Enhancement: Our team of experts can assess your current security system and make the needed improvements. * Timely Service: Our emergency service will have your issue taken care right away. You don’t have to wait for long for our specialist to arrive as we’ll send one in as fast as humanly possible. * Satisfaction Guaranteed: As mentioned, your satisfaction as a valued customer is our main goal. No matter what issue you called us for, we want to solve your problem as soon as possible, yet in a professional and efficient manner. * Professional Technicians: We carefully select our technicians to make sure that they are qualified to take care of any issue. Our specialists are skilled and experienced alongside being trustworthy and friendly. * Best Tools: Having top notch tools is important in this business. This ensures the accuracy and timeliness of the job, which is important in keeping clients satisfied. We have invested in these tools, as providing the best service is a top priority. * Fair Price: We only charge what’s reasonable for the service provided, regardless if it’s an emergency or scheduled service. Our company provides residential, commercial and automotive locksmith services in Illinois, particularly at zip code 60031. We can upgrade your locks and help improve the security of your property. You can also count on us to easily open your door during lockouts.